HMAS Success (II), based on the French 'Durance' Class Ship was built in Australia by Cockatoo Dockyard Pty Ltd at Sydney, New South Wales. She was launched from their slipway on 03 March 1984 by her launching Lady, Her Excellency Lady Stephen, wife of the then Governor-General of Australia and commissioned into the Royal Australian Navy on 23 April 1986. She is the largest ship built entirely in Australia for the Royal Australian Navy (RAN) and also the largest ever built in the port of Sydney. HMAS Success (II) is an Auxiliary Oiler Replenishment (AOR) vessel of 18,000 tonne fully loaded and 157.2 metres in length. She is not the first ship to be named Success. In all, 19 British men-of-war ships are known to have carried the name, most during the 17th and 18th centuries. Contemporary maritime operations demand that naval combat units be supplied with fuel, ammunition, food and stores whilst underway at sea. HMAS Success (II) is designed for this task. 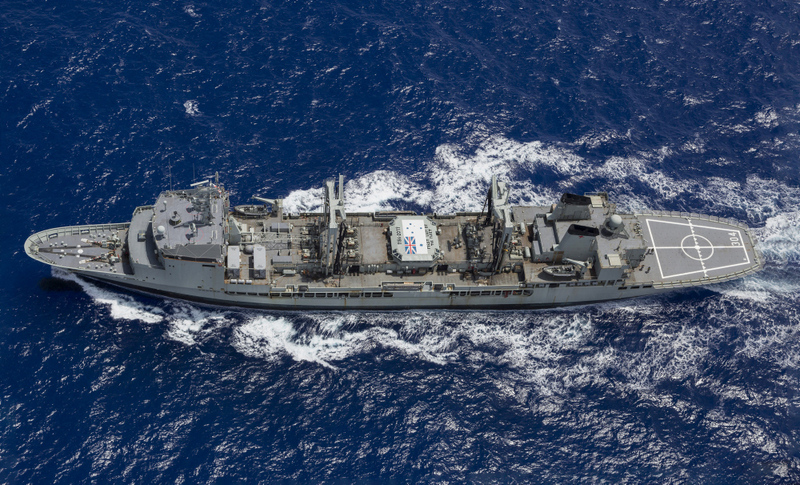 She is capable of day and night Replenishment at Sea (RAS) to ships alongside and concurrently by her embarked helicopter to other ships in company via Vertical Replenishment (VERTREP). Four main RAS stations are fitted, two of which have dual functions and can be used to transfer either fuel or solid cargo. RAS operations are controlled from the Cargo Control Room amidships. During solid cargo transfer a traveller riding on a tension highline between Success (II) and a fixed point in the receiving ship supports the load. HMAS Success on her way to Rabaul, PNG during Indo-Pacific Endeavour 2018. During fuel transfers, the highline is used to support a hose which hangs from several travelling saddles and which has a quick connecting probe to mate with the fuel receiving point in the ship being fuelled. The solid cargo transfer stations are designed to handle sizeable loads of up to nearly 2 tonnes. All winches use hydraulic transmissions with electro hydraulic controls. The RAS system is designed to cope with the extreme demands caused by ship motion in rough weather and varying sea states. 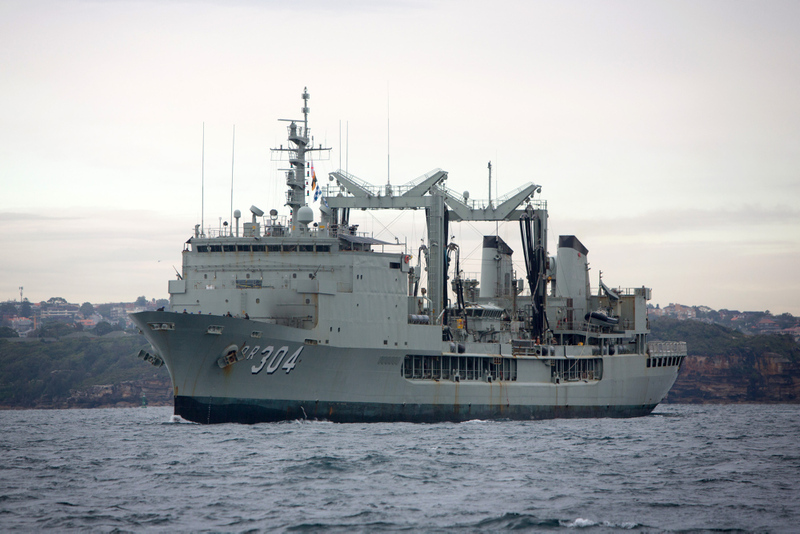 HMAS Success (II) thus enables RAN fleet units to operate with a greater degree of flexibility and independence from shore support than has previously been possible from other RAN sources. The ship's company of 220 is required to operate and maintain the propulsion, replenishment, auxiliary machinery and support systems in Success (II). Providing underway replenishment support to the fleet is a challenging and continuing task requiring technical proficiency and high seamanship standards. As would be expected in a modern warship, accommodation and recreation areas are spacious and well designed. Meals are provided from one centralised galley that includes a bakery. The medical centre includes an operating theatre, infirmary and dental surgery. After 33 years of service in the Royal Australian Navy, HMAS Success (II), will decommission at Garden Island, Fleet Base East on the 29 June 2019. 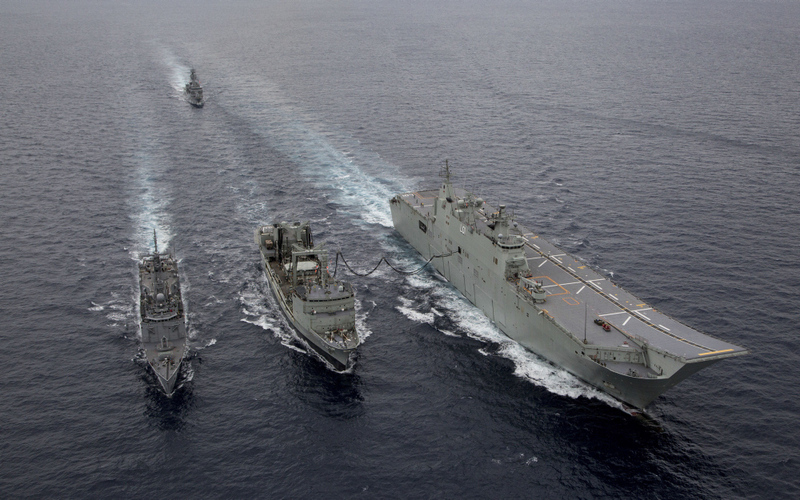 HMAS Success (centre) conducts a replenishment at sea with HMA Ships Adelaide (right) and Melbourne followed by HMAS Toowoomba. The first HMAS Success (I) (H02) was an S Class DD built by Wm Doxford & Son Ltd., Sunderland UK. She was laid down on the 29 June 1918, launched 27 January 1920 and decommissioned 21 May 1931. She was eventually sold on 04 June 1937. HMAS Success (I) was 276ft in length with a beam of 26ft 9ins and a draft of 10ft 10ins. Her displacement was 1075 tons and had a speed of 36kts. HMAS Success (I) armament consisted of three 4 inch Mk IV BL; one 2-pounder Qf; one .303-inch Maxim MG; two .303-inch Lewis MG; one twin .303-inch Lewis MG; two twin 21 inch Mk IV TT; two DC trowers and four DC chutes. Originally built for the Royal Navy, she was to be renamed Rabaul by the RAN but this was rescinded on 11 June 1920 and the original name of Success was retained. 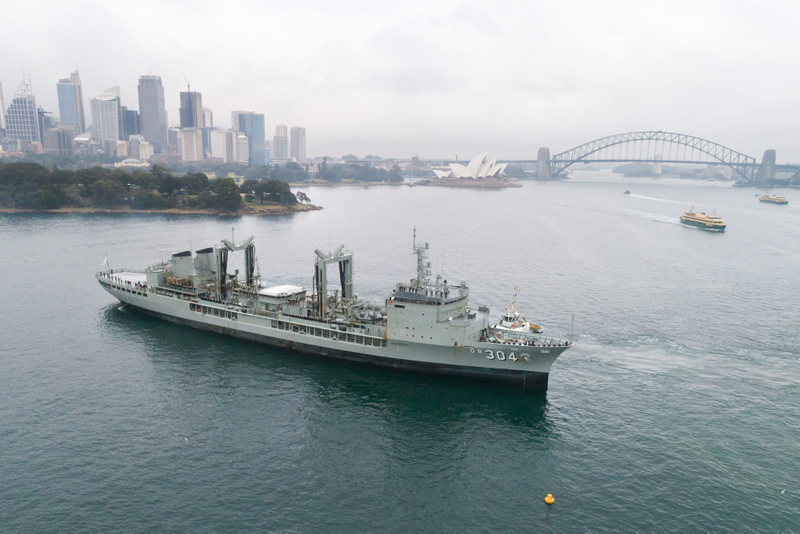 HMAS Success returns to her homeport of Fleet Base East in Sydney, New South Wales, after a five-month deployment through South East Asia and the Pacific.